Game Magic Sweets. 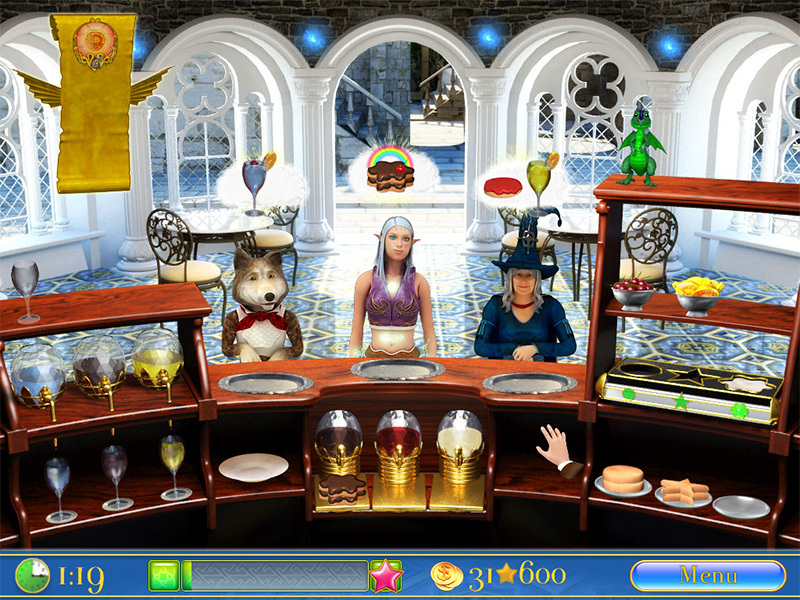 Download game Magic Sweets for free at Nevosoft.Com. Description, walkthough of Magic Sweets, buy game. Welcome to the magical and tasty time management game! 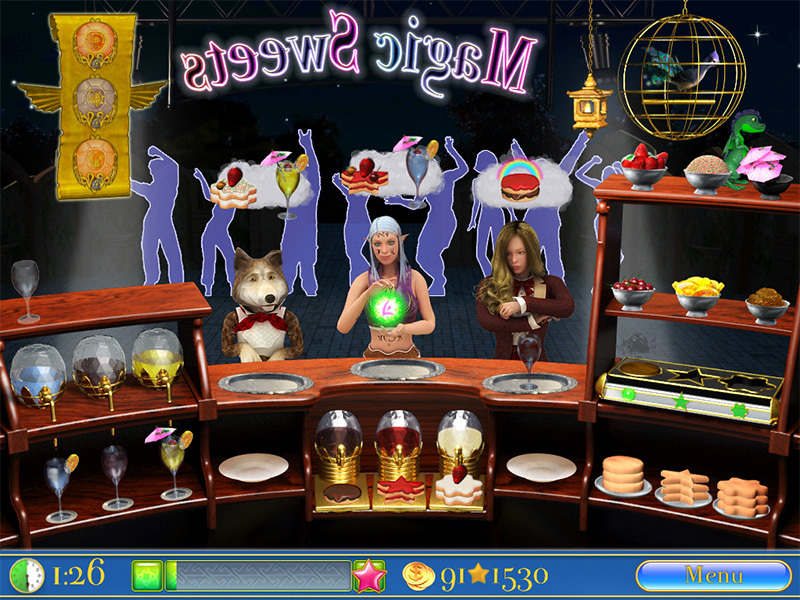 In the Magic Sweets game you will need to conquer the Magic Academy’s inhabitants’ stomachs with great magical meals! 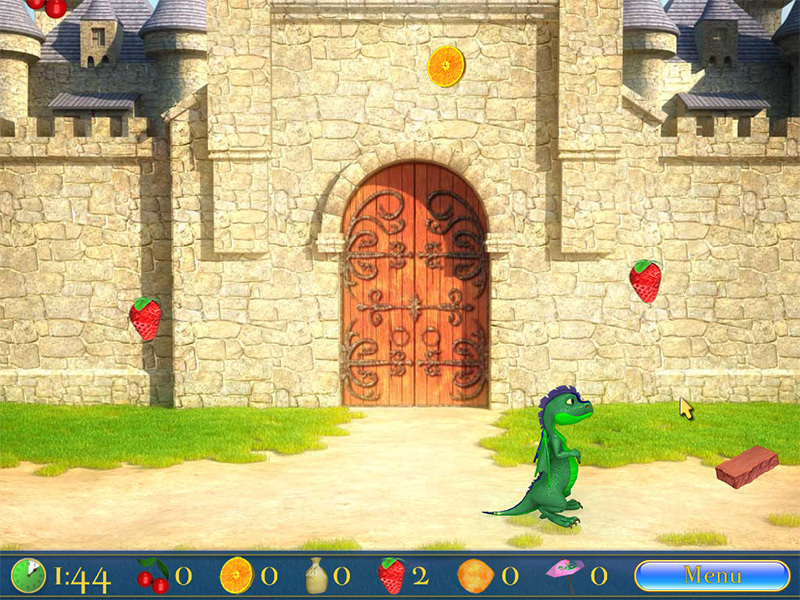 We will tell you a wonderful story about Dino, the tiny baby dragon, and his friends. It is your time to bake pastries with a rainbow glow and prepare cocktails that fizzle like sparklers. Jump into this opportunity and try it yourself! 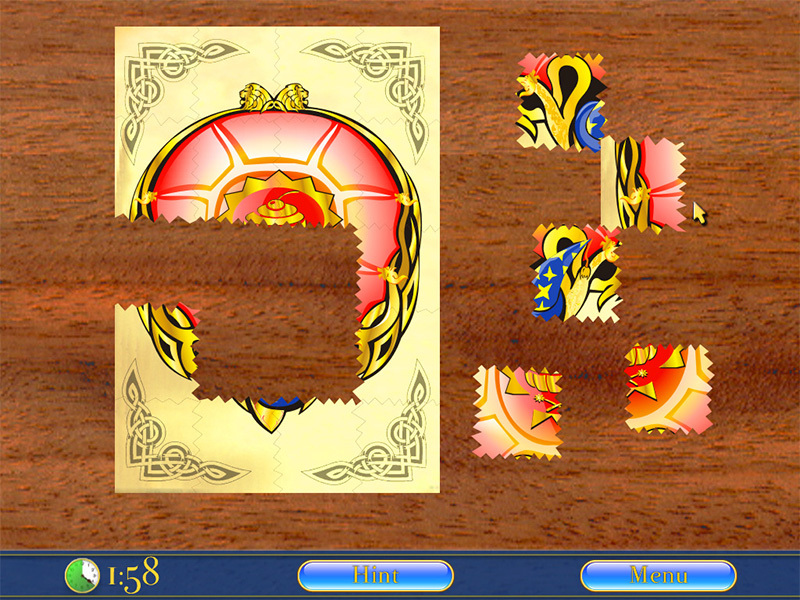 If you like time management, magic, fairy tales, this game is absolutely for you! 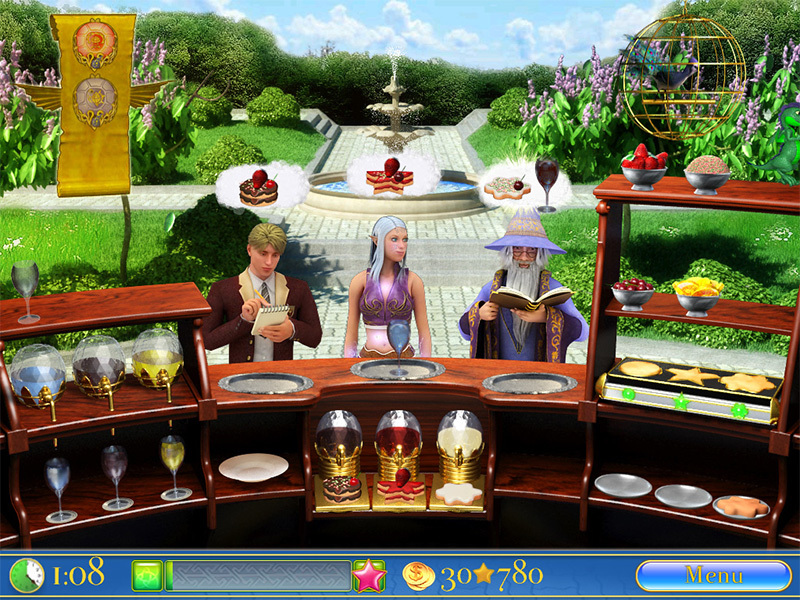 Come to the Magic Academy and prepare things you have never cooked before!